Gandhinagar, May 17 - US President Barack Obama Friday called up Indian prime minister-designate Narendra Modi and congratulated him on his "emphatic election victory", officials said. Obama said that the largest democracy in the world has given a "decisive mandate" and that he wished that under Modi's leadership, India will contribute at the global stage. Gandhinagar, Sep 17 : The Bharatiya Janata Party's prime ministerial candidate Narendra Modi Tuesday said blessings of common people will never go waste and will provide him strength and capability. The Gujarat chief minister sought blessings from his mother on his 64th birthday. Gandhinagar, Jan 8 : Chief Minister Narendra Modi on Tuesday said the ''Vibrant Gujarat Global Trade Show 2013'' would open doors to strengthen old business relations, which would contribute to the growth of the economy. 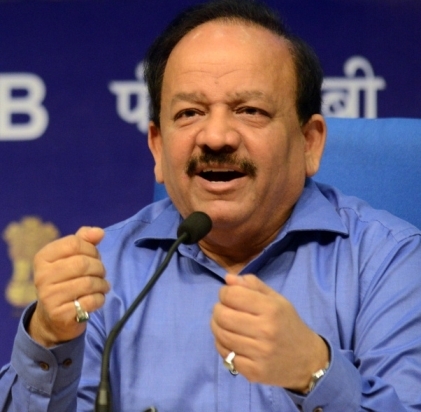 "All the trade shows, which have been organized were not only to lure the visitors but to ensure that it acted as a catalytic agent to promote business. It is over that business worth billions of rupees takes place," said Modi, who inaugurated the ''Vibrant Gujarat Global Trade Show 2013'' here. 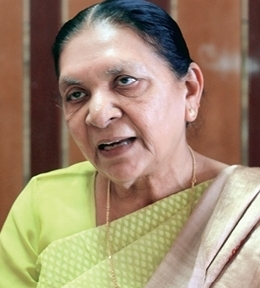 Gandhinagar, Jan 2 : The Narendra Modi-led government in Gujarat on Wednesday said that it would implement the Supreme Court''s judgement to uphold State Governor Kamla Beniwal''s decision to appoint Justice (retired) R A Mehta as Gujarat Lokayukta. "We will soon implement the Supreme Court judgement on Lokayukta," said Gujarat Law Minister Bhupindersinh Chudasama. "The Supreme Court has accepted Gujarat government''s contention that governor has to act as per the advice of the council of ministers," he added. Gandhinagar, Sep 17 - Chief Minister Narendra Modi's three-day 'sadbhavana' fast beginning in Ahmedabad Saturday was poised to be a grand affair with the BJP state government making all arrangements, including five-tier security, for the event that will see the BJP top brass attending. AIADMK supremo and Tamil Nadu Chief Minister J. Jayalalithaa has extended her support by sending two of her ministers. Gandhinagar, Aug 24 : Activists taking out a rally here in support of Anna Hazare's anti-corruption crusade were baton-charged by the police late Tuesday night. While the police claimed that the rally was illegal and was being taken out without any permission, activists claimed that it was deliberate resort to action by the cops without any provocation and on a peaceful lot of agitators. The activists were reportedly taking out a rally when they were confronted by the policemen of the Umra police station. It led to an altercation and the police resorted to lathi charge. The charge sheet was filed in the special court of Bela Trivedi, which will be conducting the proceedings inside the Sabarmati Central Jail at Ahmedabad, for security considerations. Gandhinagar, Jan 11 : For eight months a five-member gang of thieves systematically pilfered semi-precious stones, large quantities of silverware and precious heirloom from one of the locked palaces of the Jamnagar royal family in Gujarat before it was nabbed, police said Monday. According to Rajkot Deputy Inspector General of Police (Saurashtra range) Manoj Shashidhar, initially two men were picked up from a village Saturday night near Limbdi in Surendranagar district by sleuths of the Rapid Response Cell (RRC) and the local police. 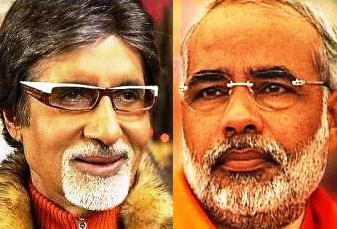 Gandhinagar, Jan 7 : Gujarat Chief Minister Narendra Modi has a new fan - Bollywood icon Amitabh Bachchan. Bachchan, who has fans mooning over him the world over, has gone overboard in his praise for Modi and Gujarat after their meeting here Wednesday. In his blog the filmstar states: "He (Modi) lives simply and with mere basic needs and most unlike the head of a state. He speaks with affection on development and progress. He is welcoming to fresh ideas and ideals. His oft repeated phrase of him being a CM, a common man, is not misunderstood. Gandhinagar, Jan 7 : An Indian Administrative Service (IAS) officer, arrested Wednesday for the post-earthquake Kutch land scam, was remanded in four days' police custody in Gujarat's Bhuj town, police said. Three others also were arrested Thursday, police added. The former Kutch district collector and present Bhavnagar Municipal Commissioner, Pradeep Sharma was presented in court of Chief Judicial Magistrate B. J. Jadhav with a plea for seven days' police custody. But the court granted a police remand of four days. Gandhinagar, Jan 7 - Platinum II, a ship allegedly carrying toxic material near Bhavnagar in Saurashtra region of Gujarat has virtually run aground. Now, dismantling it is a foregone conclusion. According to sources in the Gujarat Maritime Board it is now left with no option but to permit the breaking of the ship. "The bottom of the ship is almost touching land," a source said. The ship anchored off Alang is a virtual wreck reduced to this state because of a tug of war between the government and activists.